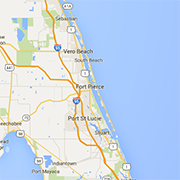 Products and Services for Treasure Coast area businesses. Local companies who can help your business grow. From advertising and web design to Treasure Coast Janitorial Services, copiers and office supplies. Family Owned and Established in 1999 in Port St. Lucie Florida. Specializing in Custom Screen printing and Embroidery on apparel throughout the Treasure Coast area. The simple solution to easily update the content on your website yourself! Provides Notary Services, Personal and Professional Coaching, Anger Management Course, Batterers Intervention program.